Ever since Tanner Fox first exploded onto the YouTube video blog scene, he has become a household name both in the YouTube community and in the freestyle scooter community at large. With the massive social media following that he has amassed over the course of the last several years, he has also given our beloved sport of freestyle scooter riding an entirely new level of exposure that it otherwise would have never had the luxury of receiving. With the millions upon millions of instagram and YouTube followers that he has gained, Tanner has opened so many new doors and created so much more opportunity for the rest of the community. 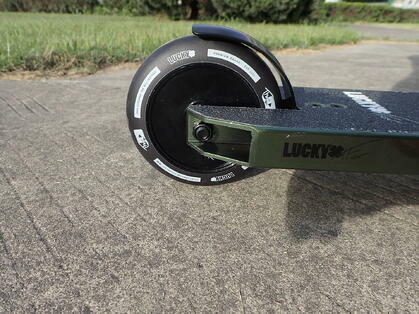 Anyway, with all of that being said, it shouldn’t be too difficult to understand why we at Lucky Scooters have decided to celebrate Tanner and his remarkably significant influence by giving him his very own line of Lucky Scooters signature products, and included in that brand new line of products is Tanner’s very own signature Lucky Scooters Prospect deck, which just so happens to be one of our more popular freestyle scooter deck designs that is out on the market today. 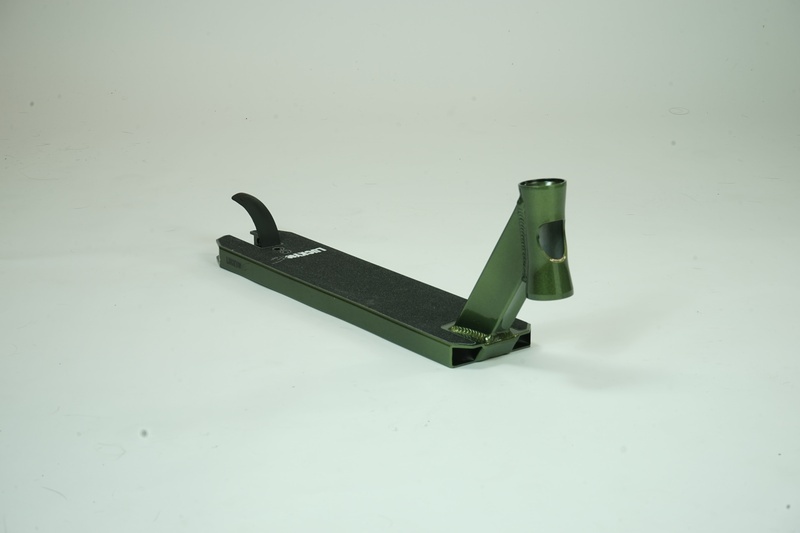 As you can most likely already tell based upon the very detailed list of specifications provided above, the brand new Tanner Fox Signature Prospect deck comes equipped with all of the desired specifications that are required by any seasoned freestyle scooter enthusiast out there. However, if you don’t want to take our word for it than simply just purchase one of these beauties and find out for yourselves. 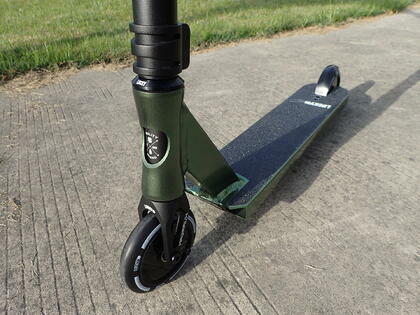 The brand new Lucky Scooters Tanner Fox signature Prospect deck is currently available at Lucky Scooters for the very affordable price of just $149.99, and it also comes in a very awesome earth green color, with Shogo Ota graphics featured on the bottom of it. If we were you, we would snag one of these as soon as possible, while supplies still last. 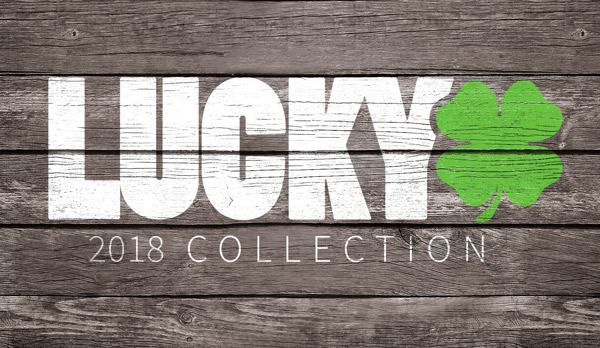 Also, don’t forget to stay tuned right here at the Lucky Scooters blog for more awesome Lucky Scooters product information and updates, as well as any and all other future Lucky Scooters related news, content, and more. 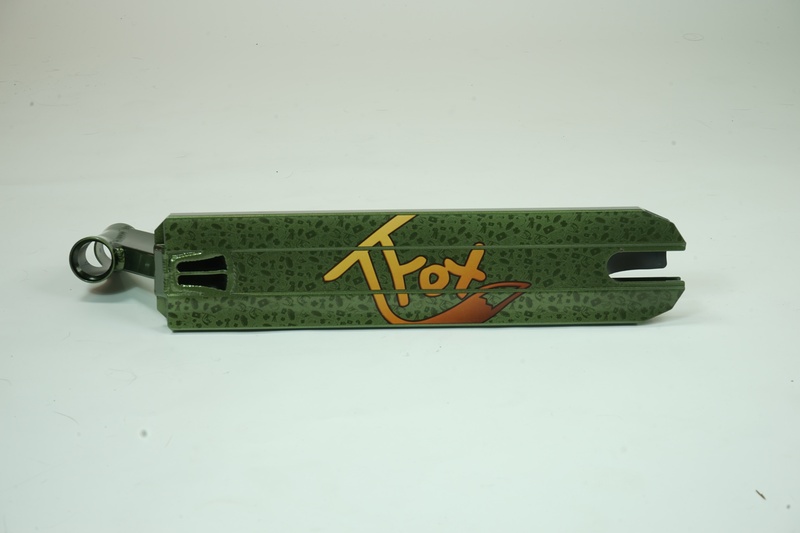 Pick up a TFOX deck HERE! Shop the rest of our product HERE!